The first Russian Film Festival, which opened in Lebanon's capital Beirut on Oct. 25, has been organized by a small group of film buffs headed by producer and documentary filmmaker Maria Ivanova. At the festival she will present her new documentary, which talks about Syrian refugees. Where did you find the courage to go to the Middle East to make a film on migrants? 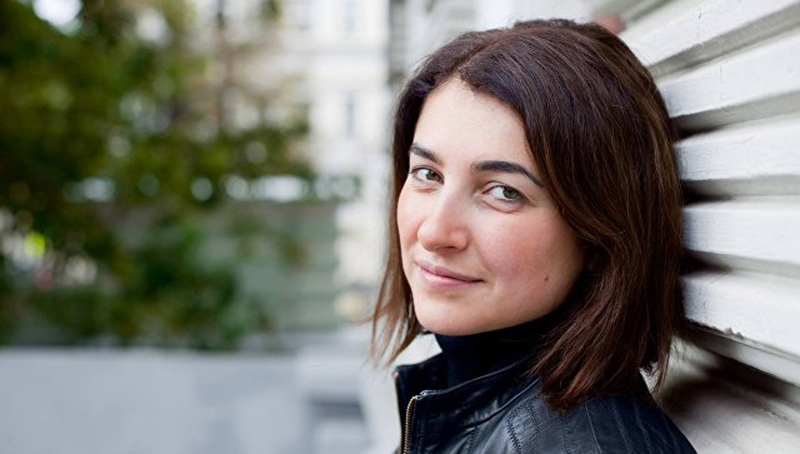 Maria Ivanova: I began making my film in Berlin, in a camp for refugees. I was searching for a female protagonist. But when I arrived, I was told that girls do not flee Syria alone, only with their husbands or relatives. In the end I visually began "capturing" interesting faces. I found my protagonist – 14-year-old Muhammad, who was sent by his parents to Germany alone. He did the whole journey alone so that later he could get his relatives out of Syria through the legal process of family reunification. During the shooting I understood that next I needed to go to Damascus, where this boy's parents remained. Due to the hassle in obtaining a Syrian visa my cameraman and I traveled to Syria through Beirut. In Lebanon you don't need a visa. As we were driving along the road I knew that ISIS was only 10 kilometers [6 miles] away, very near. We were driving incredibly fast, 200 kilometers per hour, and when the driver saw a motorcycle coming, the car quickly turned around and headed in the opposite direction. “Why?” I asked later. Because terrorists often drive around at night on motorcycles. That’s how we got to Damascus. There was no heating in the apartment we were taken to. No electricity and hot water. We slept on something similar to a couch. There are no real beds in the real East. And at three in the morning I heard bombing. Is all of Damascus in this state? M.I. : I was in the south and there it was frightening to walk out on the street. People have fear in their eyes, the atmosphere is very heavy. In the end did you meet the parents of your protagonist Muhammad? How did you contact them? M.I. : They welcomed us with open arms. They fed us. They have all means of communication, they use social networks. After meeting with them we returned to Beirut and went to the refugee camps in Lebanon's mountains, filming there for two weeks. Were the Lebanese camps different from the German ones? M.I. : Of course. Lebanon doesn’t have special conditions. There’s a character in our film, a man who has 17 children. He lives in a tent that he has divided into several parts. He patches up the holes. They all sleep on the floor. Despite their horrible position, these people offered us food and played the oud for us [an Arabian musical instrument – RBTH]. They joked… Their life is based on the hope that they will return home. Of course, many want to go to Europe. They fill out applications. But Europe does not accept everyone. In general, Lebanon is an unusual country. Just think, there are 18 religious confessions on a territory that is smaller than the Moscow Region. There are four million residents and one and a half million Syrian refugees. And yet, I never saw a conflict between, say, Christians and Muslims. They all go to the same restaurants, the same movie theaters, everyone is friendly. Which films are you taking to the festival in Lebanon? M.I. : We finished this documentary film just a few days ago and I decided to hold the premiere in Lebanon, where we shot most of the material. Moreover, our partner, the TV channel RT, is producing two documentary films: Women against ISIS and Sector of Contradiction. The directors of these films are coming to answer questions and hold master classes. How much is Russian culture present in Lebanon? Do people speak Russian there? M.I. : Many Lebanese studied in the Soviet Union. There is even an association of Soviet university graduates. These people speak Russian, many even married Russian citizens. Furthermore, there are 30,000 Russians living there. There are Lebanese who attend classes and study Russian. Sure, you mostly hear Arabic, English, French. Russian culture is not well known. So we sort of filled a vacuum. Is the war in the neighboring country felt in Lebanon? M.I. : You still feel the previous war, the civil war. There are buildings scarred by bombings. There are many military personnel, roadblocks, armored personnel carriers, patrols. But next to a destroyed building you can find a modern art gallery, which is followed by soldiers again, and then a modern theater. This is a patchwork country, it is very heterogeneous. Once I was at the Sarajevo Film Festival, which had a really heavy atmosphere. There were no stadiums there. They had turned into cemeteries since there was no space for burying people. While in Lebanon you feel very light. You want to live, despite certain moments… The presence of soldiers, on the contrary, creates the feeling of security. I traveled there by car with a driver, saw beautiful cities, mountains, wine production. I went to an apple festival. I wasn’t afraid. The country has a modern airport, taxis, hotels, wonderful restaurants, beaches and movie theaters. But the thing is that no one anywhere will give you 100-percent guaranteed security, including when you're driving through France or Germany. In terms of security, Lebanon is no different than Europe. The full interview can be found on RIA Novosti.